We helped more kids grow healthy and strong than ever before. We distributed a record number of Weekend Power Packs to thousands of children. We helped build at least one new School Pantry in each of our branch service areas. Through our Kids Summer Meals Program we served more than 200,000 meals to more than 6,300 children in 23 counties, a new record for us. Our hard work and leadership in the fight against childhood hunger this summer was recognized by the NC Department of Public Instruction, and we received the Friend of Child Nutrition Services Award. 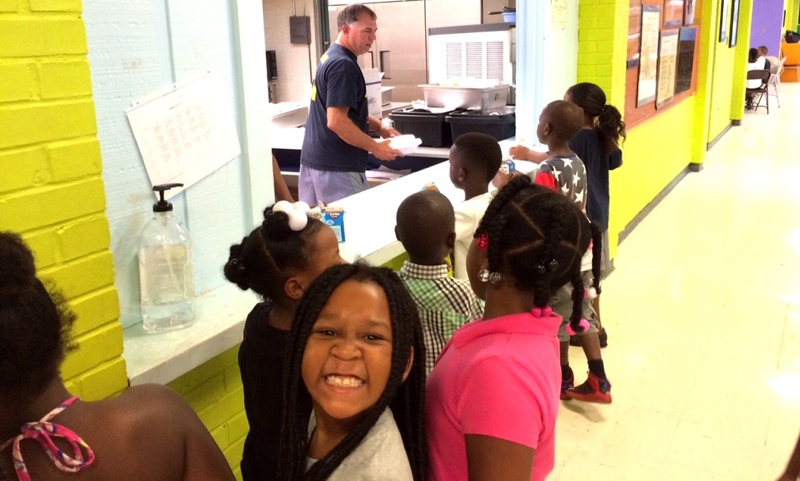 Children receive a free hot lunch at one of our Kids Summer Meals sites in Goldsboro. Our Retail Recovery Program rescued and distributed more food than ever before, ensuring less food in our landfills and more meals for families in need. Through this program, our partner agencies picked up more than 14 million pounds of food from local retail stores, a record for our organization. In fact, this past year we managed the fourth largest Retail Recovery Program in the entire Feeding America network of food banks across the country. 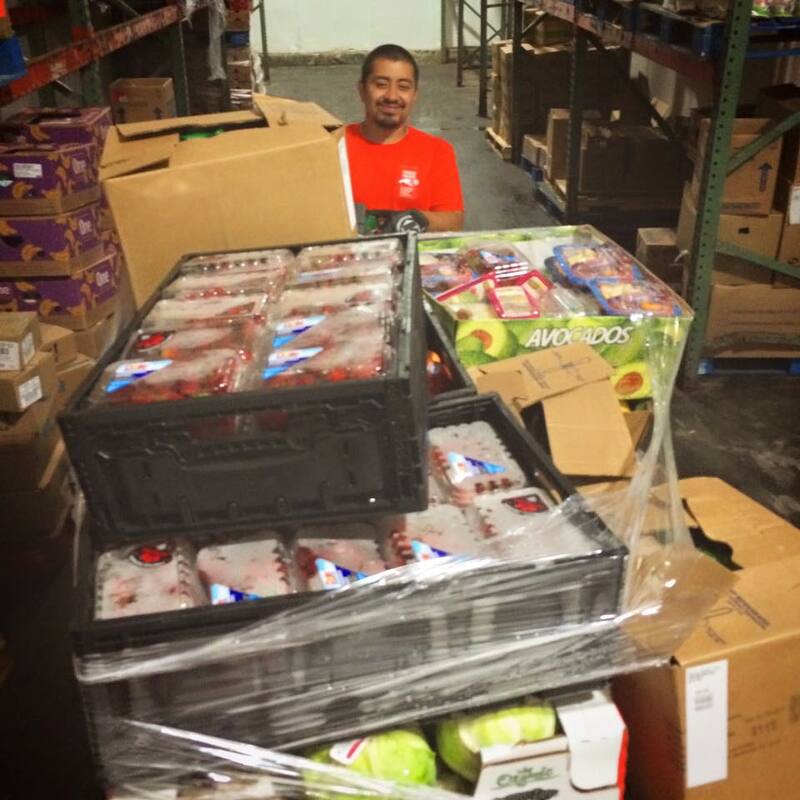 Food Bank Retail Recovery Driver, Kevin, unloads donations from a local grocery store. Our New Bern Branch marked five years of service to Carteret, Craven, Jones, Onslow, and Pamlico counties. Our New Bern Branch has allowed us to distribute more food more efficiently to the eastern region of our service area, and with its community garden we’ve been able to distribute thousands of pounds of fresh produce grown right next to our facility. 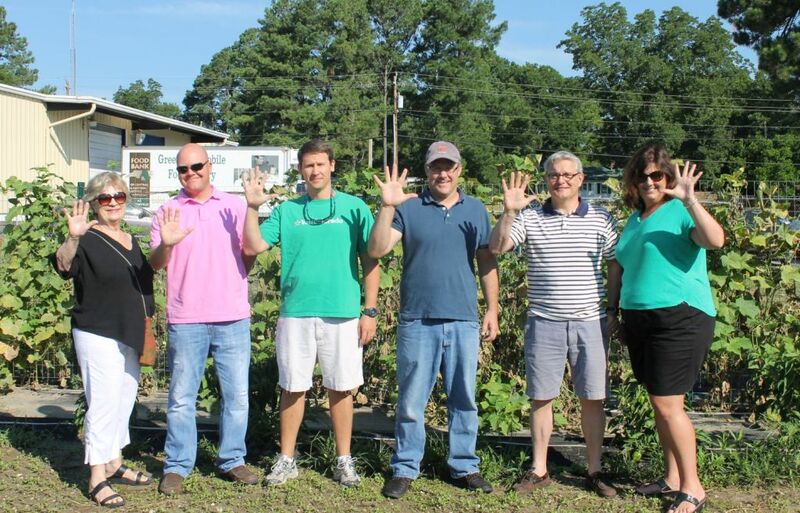 Food Bank staff and volunteers stand in front of our New Bern Branch community garden. Our Sandhills and New Bern Branches passed the food safety audit from the American Institute of Baking International (AIB) as required by Feeding America. This in-depth audit ensures the safe handling and processing of food at our distribution centers. As we continue to distribute record amounts of food to vulnerable communities across NC, we remain committed to ensuring that the people we serve receive the freshest, healthiest, and safest food possible. Next year the rest of our branches will undergo this rigorous inspection, and we plan to pass those as well! 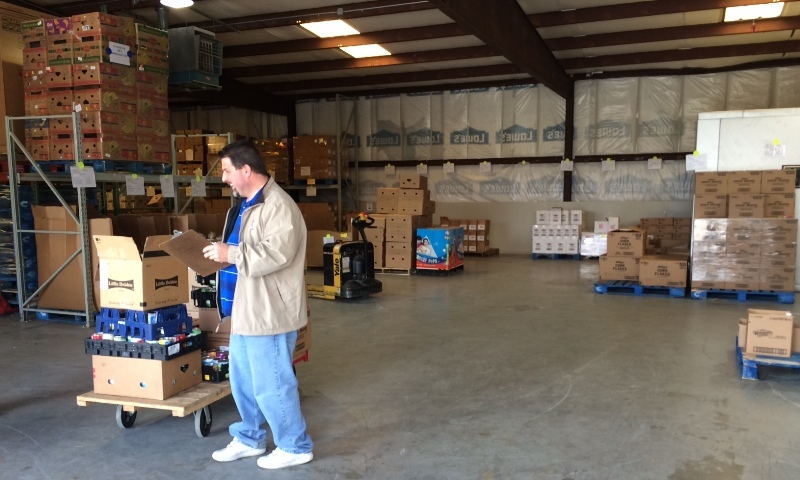 New Bern staff member, James, assists a partner agency as they pick up food from our New Bern Branch. We hired team members for several new, key positions to help us expand and strengthen our services including an Eastern Regional Director for our Greenville and New Bern Branches, a SNAP outreach coordinator to specifically help seniors and older adults across our 34 counties, and a Food Resource Coordinator in Wilmington to help expand our Retail Recovery and Fresh Produce Programs in the eastern part of our service area. We received two new refrigerated trucks thanks to Blue Cross Blue Shield of NC and Food Lion. With this critical addition to our fleet, we are able to distribute more perishable food including fresh produce across our 34 county service area. Our Durham Branch distributed their 75 millionth pound since the branch opened in 1999, a great milestone for our Bull City community. 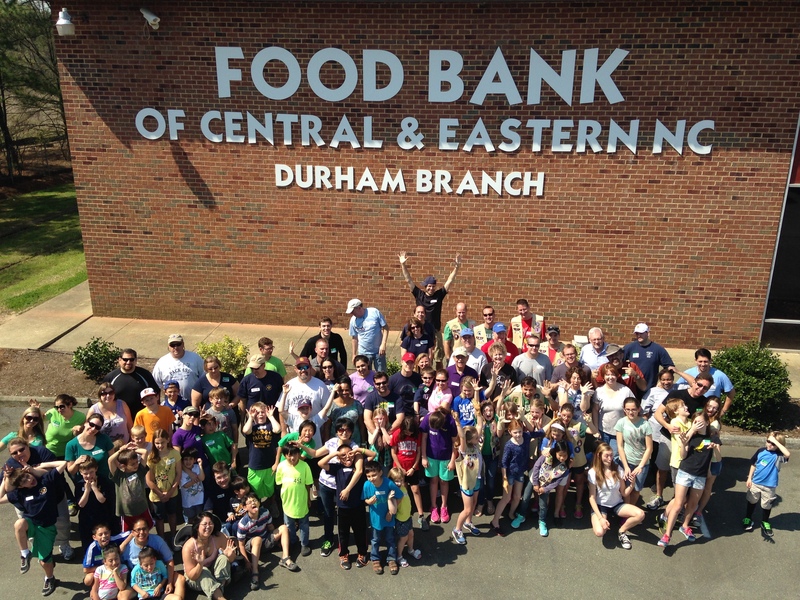 Volunteers take a photo after they sorted food at our Durham Branch. Several of our dedicated staff members were recognized for their extraordinary work in hunger relief both locally and nationally. 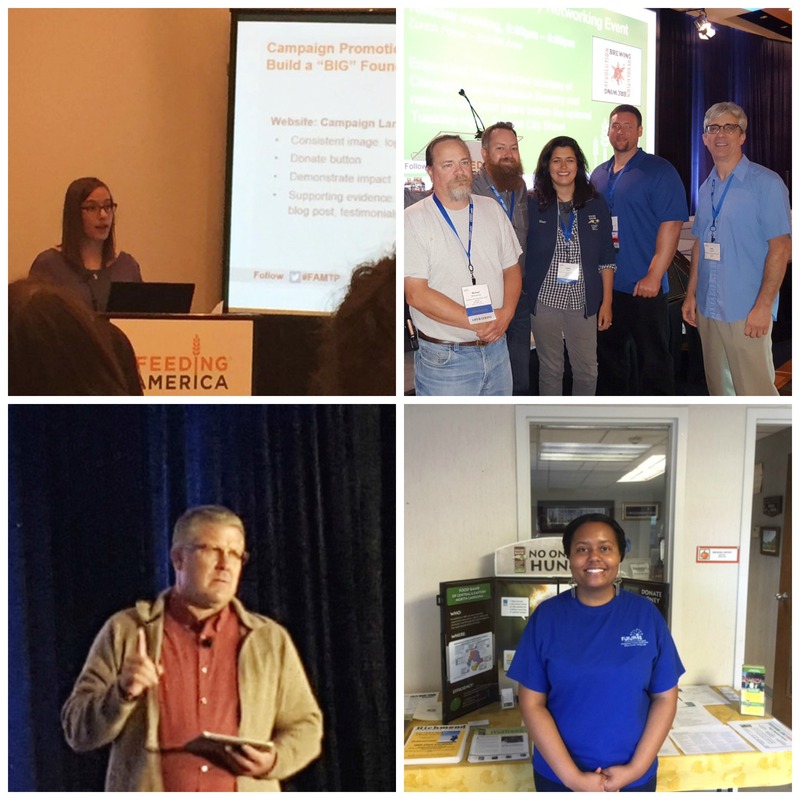 At local and national Feeding America conferences, our staff shared their expertise in retail recovery, disaster relief efforts, fundraising, social media, building partner agency capacity, and even inspired fellow food bankers by sharing their personal story of overcoming food insecurity. Food Bank employee Jessica Ledbetter of our Sandhills Branch was also chosen to take part in the national Feeding America Rural Child Hunger Capacity Institute to learn and share new ideas for how to better serve children in rural communities. Top left: Molly Rivera, Digital Communications Administrator, gives a presentation on digital media and fundraising; Top right: Food Bank operations team attends Feeding America conference. Carter Crain and Caitlin Cohn shared expertise in Retail Recovery and Dave Goodrich shared our new disaster relief plan; Bottom left: Lance Barton, Eastern Regional Director, shares his personal story of overcoming food insecurity at a Feeding America conference; Bottom right: Jessica Ledbetter, Rural Child Hunger Capacity Institute participant. We distributed more than 19 million pounds of fresh produce across our 34 county service area, a new record for our organization. This achievement is particularly important to us as we continue to increase our focus on nutrition, especially for our child nutrition programs. 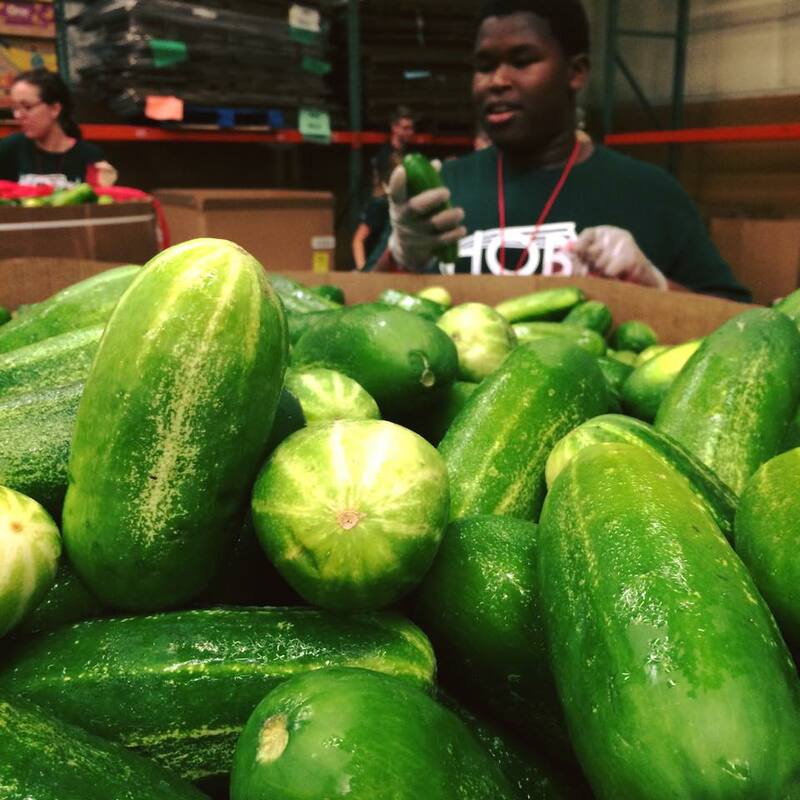 A volunteer sorts fresh cucumbers at our Raleigh Branch. We distributed a record amount of meals—More than 58 million pounds of food to more than 800 partner agencies across central and eastern NC. This great achievement would not have been possible without our dedicated and compassionate community of staff, volunteers, donors, advocates, and corporate partners. For 35 years, this is how we’ve helped feed thousands of children, seniors, families, and individuals in need. Children enjoy breakfast at one of our Kids Meals & More Program sites. 2015 was an incredible year. We are so grateful for the continued support of the communities across our region and their commitment to hunger relief. On behalf of all of us at the Food Bank, thank you for your partnership, and Happy New Year! *We operate on a fiscal year that begins on July 1. The achievements highlighted above are for the calendar year 2015. To learn more about our goals and progress for our fiscal year 2015-2016, please visit our website. If we as Americans would take a little time to look around to see the need in our own backyard and help, just a little. What a powerful country we would be. No one should be hungry here. Thanks to all of the non profits, volunteers and future volunteers.